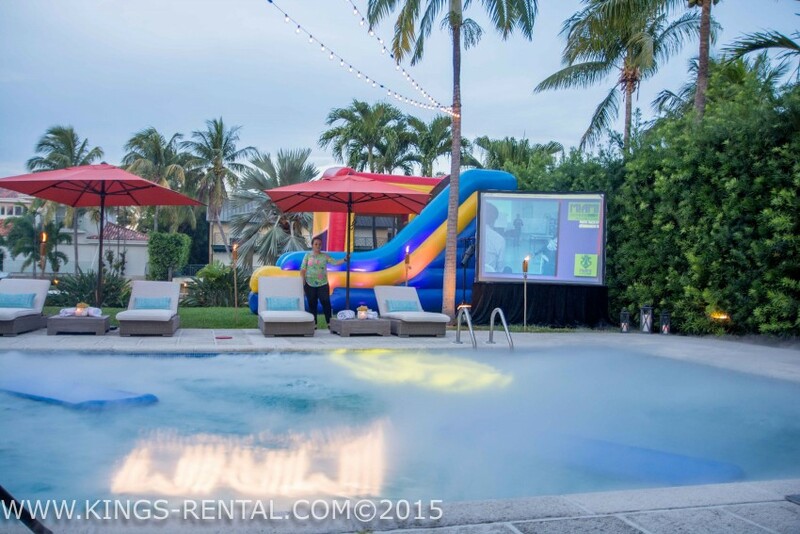 We specializes in providing equipment rentals and services all South Florida for all type of Events. We have a full system for daily rental like Projectors, projection screens (all sizes), wireless Microphones, Battery Powered Speakers for those places where is impossible to get AC power like the beach or remote locations, String lights for weddings, Up lighting (any color), Gobo Projection lights (((Your logo or monogram on the wall))), LED Party lighting, Karaoke machine, Big TV rentals, glowing UV lights, Artificial Snow Machine, Pipe and Drape, Intelligent lighting, professional videographer and photographer, Professional DJ more.. They were great. Showed up early to set up. When it started to rain (ugh), they were VERY accomodating and re-set up inside the house and stayed to make sure all was going well. Very communicative throughout the process. Highly recommend! We couldn't be happier with the service we received from Kings Rentals. 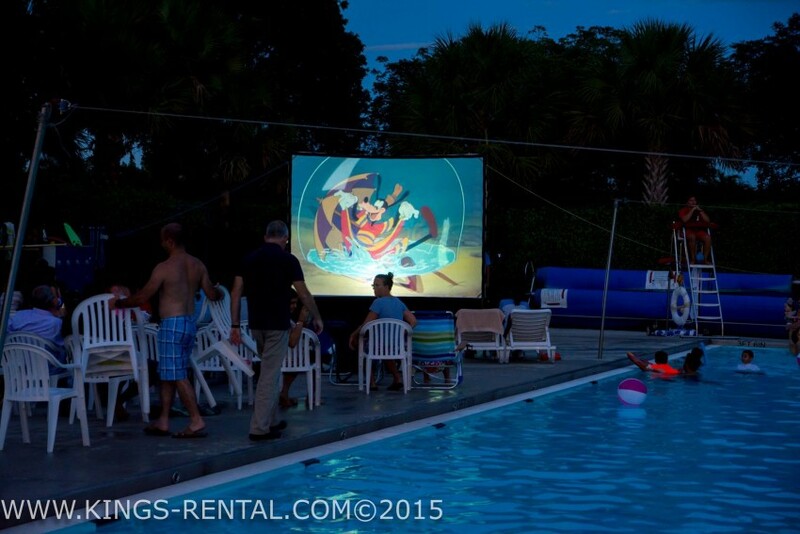 The outdoor theater was set-up on time and perfectly. He explained how all the equipment worked and everything went off flawlessly. After the event, he came and cleaned everything up just as scheduled. I would 100% recommend using Kings Rentals and will be using them again in the future. Thank you! I would like to take this opportunity to thank you for allowing KINGS RENTALS the privilege to serve at your event. Our vision at KINGS RENTALS is to build strong, lifelong relationships with our clients. Your comments help our entire staff to learn what our customers appreciate and deserve. We want to maintain your trust and confidence, so when you refer your family and friends you will have no doubt that they will receive the same dedication and respect that you have to come to expect from us, and Thank you for your review, new customers can know about our services and great pricing. On behalf of all of us at KINGS RENTALS, we thank you. 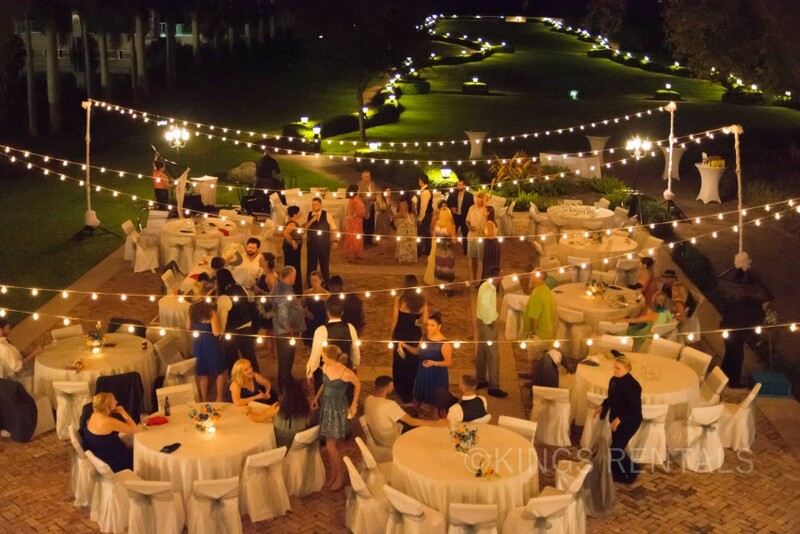 KINGS-RENTALS specializes in providing Audio visual rental services in all south of Florida for all types of events 7 days a week with all the guarantees that the event that you or your company is organized can have an excellent presentation and can be seen and heard perfectly in any place or room that is celebrated. We put all our efforts in making easy for you. Do you want your event to be remembered? Need sound or lighting equipment for your event? Whether you need an audiovisual equipment rental or services for a small gathering of clients or a large event our skilled technicians have the knowledge to help you determine what is the right AV equipment rental to ensure the best for your event. High end AV Equipmnet all Brands!